Among all the hill stations in India that have attracted their share of Bollywood fame, Darjeeling by far stands out as one of the most repeated. The scenic Himalayan town of West Bengal that offers some jaw-dropping views of the Kanchenjungha has hosted almost all top Hindi film stars ever since Raj Kapoor shot Barsaat way back in 1949. Bollywood and Darjeeling has been an unending love story all through. Here’s a list of some Bollywood films shot in Darjeeling. Eight years before Rajesh Khanna wooed a coy Sharmila Tagore on the winding roads up the Himalayan slopes, Dev Anand and Asha Parekh shot in the scenic locales of the Queen of Hills in this Nasir Hussain film that went on to become the biggest hit of the year. Who can forget the breezy Jiya Ho Jiya Kuch Bol Do sung by Mohammed Rafi. Check out the unforgettable song below. Close on the heels of Jab Pyaar Kisi Se Hota Hai, came Hariyali Aur Raasta, Manoj Kumar and Mala Sinha’s first film together. Directed by Vijay Bhatt, the film was almost entirely shot in Darjeeling. Next came the Lekh Tandon directed Professor, starring Shammi Kapoor and Kalpana, the entire film was shot in and around Darjeeling. The superhit Main Chali Main Chali was shot at Chowrasta and Batasia Loop. Another Shammi Kapoor starrer, China Town was also shot extensively in and around Darjeeling. It had Shakila, Helen, and Madan Puri in starring roles. The film was directed by Shakti Samanta, and went on to become a major hit. The Asha Parekh and Dharmendra starrer 1966 Aaye Din Bahar Ke also became a superhit, it was shot extensively in the tea gardens of Darjeeling. The music of the film by Laxmikant Pyarelal, tuned to the words of Anand Bakshi, was hugely popular. Check out the lilting Suno Sajna Papihe Ne song, shot in and around Oakden, by Lata Mangeshkar below. Mumtaz and Sunil Dutt starred in this musical thriller that also had Raaj Kumar, Madan Puri, and Balraj Sahni in important roles. The film is perhaps best known for the superhit Neele Gagan Ke Tale song rendered by Mahendra Kapoor, set to tune by Ravi, and written by Sahir Ludhianvi. Dharmendra, a year later, was back in the Queen of Hills, this time with Baharon Ki Manzil, co-starring Meena Kumari. Directed by Yakub Hassan Rizvi, this film too set the cash registers ringing and cemented Dharmendra’s position as a romantic lead in Bollywood. The electric chemistry between the lead pair is evident in the Yeh Daman Ab Na Chhutega Kabhi song by Lata Mangeshkar. Six years after Professor, Lekh Tandon returned to Darjeeling to shoot Jhuk Gaya Asman with Rajendra Kumar and Saira Bano. Check out the superlative rendition of the title song by Mohammad Rafi. Talk of films shot in Darjeeling, and it’s this one that comes first to your mind. A major part of this Shakti Samanta film was shot in this popular hill station. Rajesh Khanna riding a jeep and following Sharmila Tagore on the Darjeeling toy train, remains etched in memory of all Indian cinemagoers. But very few know that it was only Rajesh Khanna and Sujit Kumar who were present during the shooting of the iconic Mere Sapno Ki Rani song. Sharmila Tagore’s part was shot later in the studios as she was in Palamu shooting for Satyajit Ray’s Aranyer Din Ratri. As a result she and Rajesh Khanna never share a single frame together in the entire song. This Asha Parekh and Dev Anand starrer is among the major whodunit films shot in Darjeeling. It was a box office hit with the mystic surroundings of one of India’s most wonderful hill stations adding to the suspense. Check out the wonderful Yeh Duniyawale Poochhenge song by Kishore Kumar and Asha Bhonsle below. Dev Anand’s love for Darjeeling brought him back to the town several times. Parts of Joshila, with Hema Malini, were shot in Darjeeling. Check out Dev Anand and Rakhee romancing on the backdrop of the majestic Kanchenjungha in this memorable Kishore Kumar song below. This film was the Hindi version of Tapan Sinha’s 1960 classic Sagina Mahato. 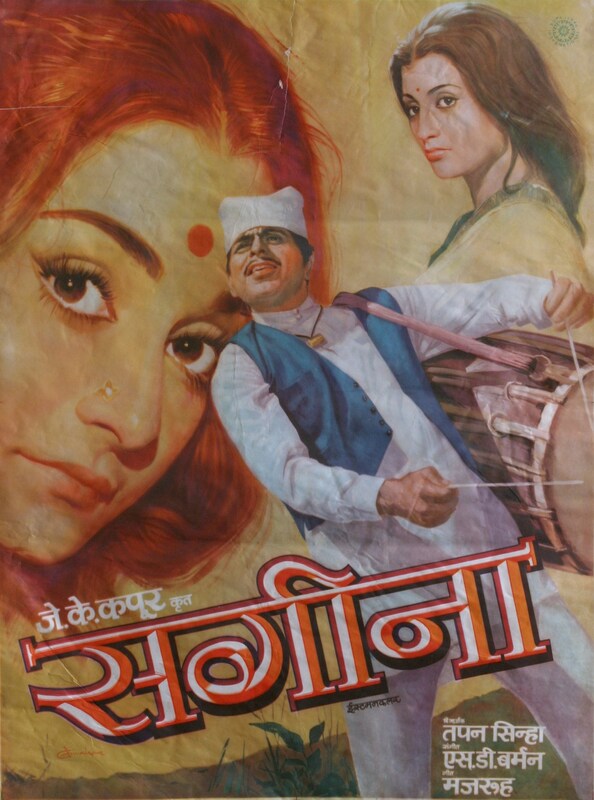 Directed by Sinha himself, Sagina retained its earlier cast from the original that had Dilip Kumar, Anil Chatterjee, Saira Banu, and Aparna Sen in lead roles. It was shot in Kurseong of Darjeeling district. The Hindi remake, however, was not as successful as the original. This Dulal Guha film was Amitabh Bachchan’s first tryst Darjeeling. Some parts of the film were shot at the St Paul’s School at Jalapahar. The film was a superhit. Rajesh Khanna revisited Darjeeling, this time to star with Simple Kapadia in Shakti Samanta’s musical, Anurodh. It was a remake of the Bengali film Deya Neya, starring Uttam Kumar and Tanuja. Kishore Kumar once again proved his singing prowess in Mere Dil Ne Tadapke, shot in the exotic tea gardens of Darjeeling. The film was a major hit and revived Khanna’s career that went downhill ever since Bachchan burst on to the scene. This one is among the lesser known Bollywood films shot in Darjeeling and has Vinod Khanna and Shabana Azmi in lead roles, along with Danny Denzongpa and Ranjeet. It was directed by Mahesh Bhatt and became an average grosser. 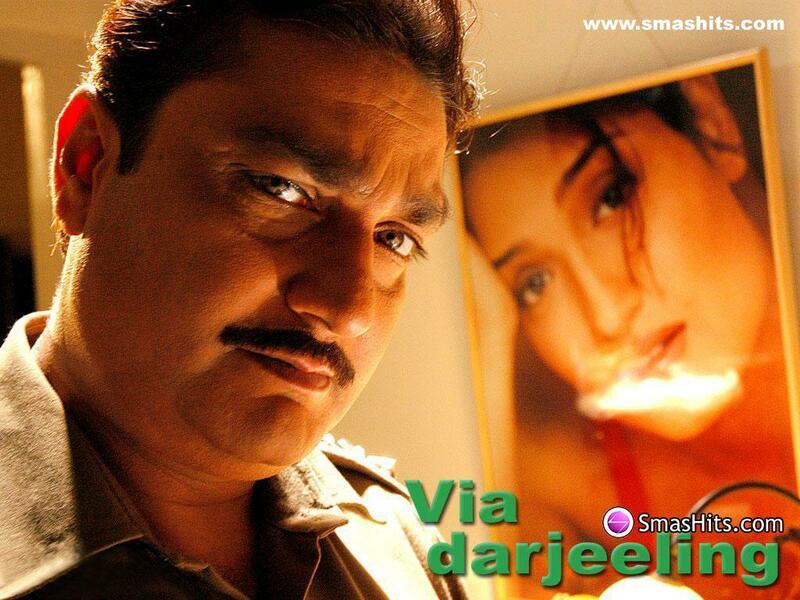 Director Shakti Samanta’s love for Darjeeling was well known in the Mumbai film industry. He brought back Bachchan and Rakhee to the mountain town in 1981 for this double version film. The film’s outdoors was entirely shot here. Anusandhan, the Bengali version, was a box office success. The Hindi version, however, did average business. Here’s the superb Apne Pyar Ke Sapne Sach Huye song by Kishore Kumar and Lata Mangeshkar. The number of Bollywood films shot in Darjeeling dried up during the Gorkhaland agitation in the mid eighties. It was not until 1992 that the scenic Himalayan town re-entered the Bollywood map with Aziz Mirza’s Raju Ban Gaya Gentleman, starring Shah Rukh Khan and Juhi Chawla, loosely based on Raj Kapoor’s Shree 420. The film was a hit, largely because of its music by Jatin Lalit. Here’s the superhit Kumar Sanu song Dil Hai Mera Deewana. Some amazing songs of this Aditya Pancholi and Pooja Bhatt film were shot in Darjeeling. Chor Aur Chand is among the relatively unknown Hindi films shot in Darjeeling. Tara Deshpande and Marc Robinson starred in Anjan Dutt’s directorial debut Bada Din. Dutt himself was a student at St Pauls and Darjeeling happens to be his favourite town. The song Meri Ankhon Mein Tum Ho went on to become a chartbuster. Farah Khan’s directorial debut returned Shah Rukh to the mountains, this time with Sushmita Sen, Zayed Khan, Sunil Shetty, Amrita Rao and others. The film was a megahit and Darjeeling once again proved lucky for Shah Raukh. Here’s the Chale Jaise Hawayein song, shot at the sprawling St Paul’s campus. The song has no cuts in the first 2.42 minutes. Sharmila Tagore’s son retraced his mother’s footsteps and rode the UNESCO World Heritage toy train this time for real, while shooting for the Kasto Mazza song, in this Pradeep Sarkar film. While no part of the film was shot in the picturesque town, the presence of the toy train itself forges the Darjeeling connection. Debutant director Arindam Nandy made this rare hyperlink cinema with a stellar cast of Kay Kay Menon, Vinay Pathak, and Rajat Kapoor. It tells the story of a couple honeymooning in Darjeeling, when the husband disappears the day they are supposed to return. This was a romantic adventure film directed by Divya Khosla Kumar and had Rakul Preet Singh, Himansh Kohli, and Nicole Faria in lead roles. While the film itself was a box office bomb, the exotic locales of Sikkim and Darjeeling provided some superb locales to the background of the film. Continuing with his family’s close connection with Darjeeling, Ranbir Kapoor followed the footsteps of his forefathers and shot the romantic comedy Barfi! in this beautiful Himalayan hamlet. Barfi! is one of the most important films shot in Darjeeling and won numerous awards and critical acclaim. Directed by Anurag Basu, it also starred Priyanka Chopra, Ileana D’Cruz, and Saurabh Shukla in major roles.